Open the photo you took and identify where your blemishes can be found. Go into Develop mode by pressing “Develop” in upper right part of the application or by using the shortcut “D”. 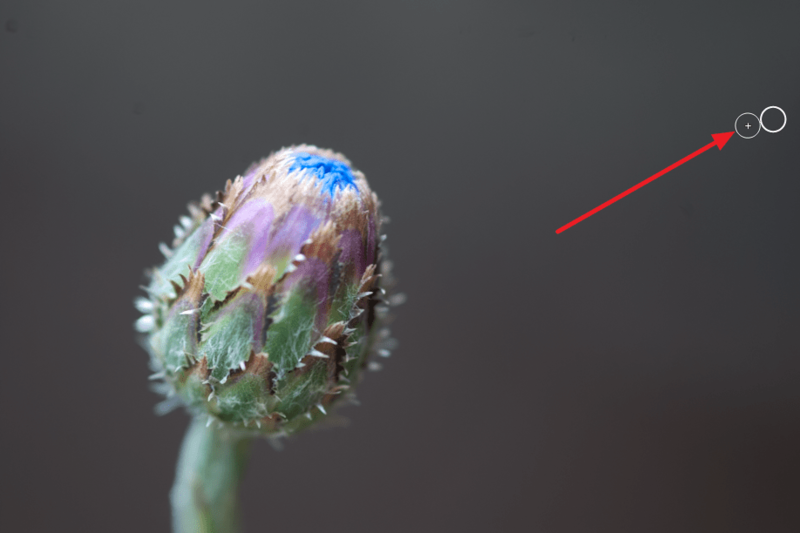 The red circles here are just annotations so that you see where the blemishes are, they are not part of Adobe Lightroom. Choose the heal brush from the tool chest on your right. You can choose to set the tool to “Heal” or “Clone”. 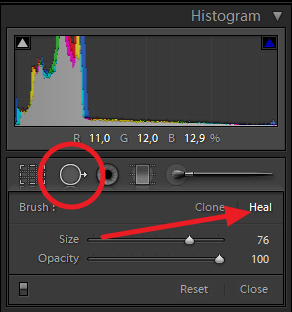 Heal will try to blend the colors in a way which makes the selection invisible and clone will take the exact pixels you choose and replace what you want. A good reminder is to use “Clone” if you need to replicate a set pattern and Heal in all other cases. With the tool selected move your mouse pointer to your photo and click on your blemishes. You can adjust the size of the brush by scrolling the wheel on your mouse or moving the “Size” slider in the tool chest. Try to use an as small brush as possible but still cover the entire blemish under the brush. Just continue this for all blemishes in your photo and when you are done you now have a clean and beautiful photo! This is a tool I use daily on many of the photos I take. By having the chance of correcting these things in post production I can focus even more on just taking photos when in the field!